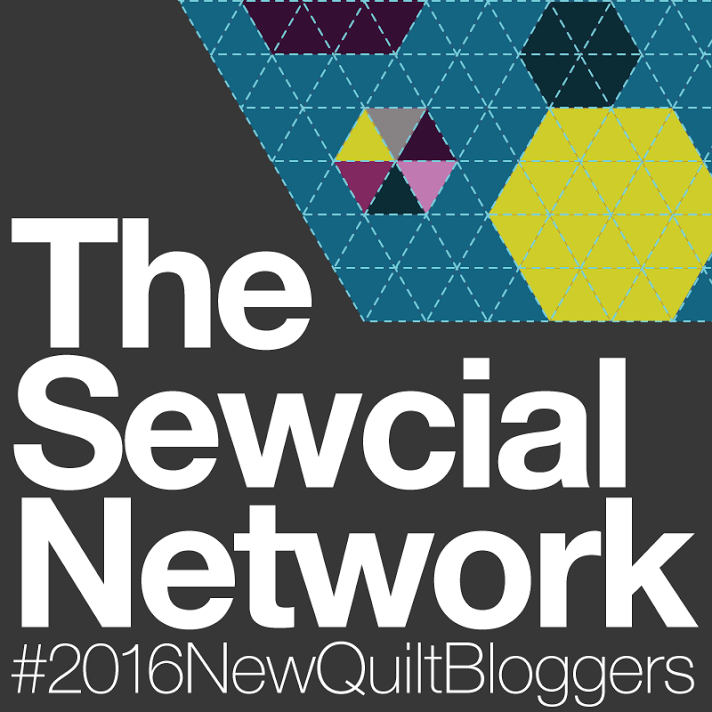 Howdy y’all, and welcome to the week 2 roundup of the 2016 New Quilt Bloggers Blog Hop! Last week’s line-up of The Sewcial Network participants was fabulous — definitely tough acts to follow. My story of quilting is one rooted in stubbornness. When I was in junior high I made two throw pillows (featuring Looney Tunes characters; Tweety and Taz to be specific) and one pair of boxer shorts (plaid, obviously, it was 1993) on my mother’s boss Swiss Elna sewing machine. Then nothing. For decades. Sewing was my mother’s gig — as in, she not only sewed for us when we were kids, but owned and operated a small business making interior decorating stuff for clients. She sewed all the time. I felt the pull, especially when she gifted me with a nice starter machine for Christmas a year or two after I got married. But sewing was my mother’s territory, so I stubbornly abstained. Until. A good friend of mine was going to have a baby and I was about a week out from throwing her a shower. She made an offhand comment (that was not mean in context), but basically amounted to saying that I am incapable of planning and completing projects in a timely manner. Binding was the toughest part, but the tutorial was great. Still use it to this day. Backed with minky. Many imperfections. Carpenter star quilt, a gift for my mother-in-law for Christmas 2014. Triangle baby quilt I made for kiddo. Our sweet black lab Chili modeling the baby quilt. My quilt, my quilt, not my quilt (but it’s pretty, right?). Christmas carpenter star quilt, 2014. Backed in really luxurious heavy flannel. SO MUCH COZE. I love making quilts, and my hope (even though it’s been a rockier process than anticipated so far) is that this blog will help keep me accountable to making, and document my progress along the way. I still know almost nothing about the craft of quilting. I still struggle with consistent seams and matching points. I will never be one of the great artisans of quilting. But what I really love is thinking about quilts — their history, their politics, their meaning on both micro and macro levels. Sometimes a quilt means comfort, and that is enough. Sometimes it means much more, and I get goosebumps, and all I can do is obsess over quilt ideas for hours and days and months. Blogging tip: Guidelines of blogging are great, but don’t get too caught up in the rules, or it’s easy to lose your own voice and have your progress stifled. Stay creative; stay in love with what you do; be honest. Dream Vacation: A tour of Mexico (mainly interior cities) with my husband. Favorite Book: Oh, there is no such thing as a favorite. If I had to choose one all-time favorite I’d go with Harry Potter and the Order of the Phoenix. But I really desperately love at least 1,000 books, from young adult to science fiction to mystery to Pulitzer-prize winning fiction to classics to fantasy to poetry and beyond. Favorite Movie: Also a tough call, but sentimentally I have to go with Lost in Yonkers. I don’t even know anyone else who knows this movie, much less loves it like I do. Favorite TV Show: At the moment? Game of Thrones. WHAT IS GOING TO HAPPEN. Random Personal Fact: I assisted in open-heart surgery when I was 17. Medicine is fun, but social work is my professional passion. What three words would you choose to describe yourself as a quilter? I’ve demonstrated here that mine would be stubborn, imperfect, and pensive. Not the sexiest descriptors, but I’m making the most of them, I think. If you’re a Game of Thrones fan: What character do you identify with the most and see yourself as? My answer in the comments. What a gorgeous first quilt and such a great story behind it – the image of you arriving at the hotel had me smiling at the screen!! The quilts you’ve made since are lovely. I am totally with you on the books front – anything and everything. As a quilter … hmmm all or nothing, in as much I can make a quilt in a week or it can take 6 years, happy, because I love, love, love sewing, and learning, always up to learn more about techniques, quilting, history etc. Never watched GofT so can’t answer!! Three words that describe me as a quilter are: Still a Beginner. I enjoyed the story behind your first quilt. There is nothing like being told you can’t do something to push one to do it to prove the other person wrong. I wonder if I’ll always feel like a beginner, especially compared to many of the amazing artisans online. Then I look at the binding on that first quilt… whoo-eee! I’ve made some progress. I’m with you on the inertia. I suffer from it in many areas of life including quilting but mostly housework. I also love all kinds of books and lots of them. I love the colours you use in your quilts. Three words to describe myself as a quilter….giving…I contribute to, make, coordinate making oodles of quilts for my guilds outreach program….brave….this is one area of my life where I am willing to try new things and work outside of my comfort zone…..evolving…..
Brave, evolving, giving… I want to give you a hug! I’m really enjoying this New Bloggers blog hop. The story about making those baby quilts is just fantastic! LOL And I love the Strip & Flip pattern; I keep saying I’m going to make one…ah, one day! I don’t watch Game of Thrones but I know many that do…and love it. Strip and Flip is the bomb dot com. ooh tough question. I’m going with my gut and what pops into my head and saying curious, happy and patient! Oh and I’d go with Jon Snow – no idea why but his is the personality I could see myself sitting down to dinner with! GoT confession: Pretty sure I am Brienne of Tarth, and not just because I tower over my peers. I am stubborn to a fault, but also loyal and brave and non-conforming. Who are you on GoT? If you don’t watch/read GoT, what’s your favorite fandom, and who are you there? It has been great getting to know each blogger in this group. Your baby quilt is one of my favorites and on my list to do….but no babies as of yet…kids are still too young ( I want them to finish college and get a good job first). You dog quilt model is adorable, she…due to the flower??? is so sweet! BIG GOT fan!! DID you watch last night? Oh my goodness!!!! I could not sit still…I cheer for the Starks, not that there are many left. Arya is my favorite character. She is so strong and independent. I was never a big fan of Sansa until last night….good for her! One word instead of three is learning. I’m behind on GoT! I’m postponing until Friday night so we can watch with friends. I can’t waaaaaaaait!!!! I really enjoy hearing the stories about what got each of us quilting. How amazing to self-teach yourself in a week and create 2 quilts! Wow! If I had to use 3 words to describe myself as a quilter…. wow. Intense (as in I can have laser focus when I get started / set my mind to doing something), loving (I definitely try to pour good vibes and love into everything I make), and prolific (but I do quilt full time as my job)! I am so glad to know more about you and thanks for the thought provoking question this morning. Thank YOU for putting this hop together for us! I love your first quilt with all the beautiful colors and fabrics. Your blog post is great and brought many smiles to my face. Three things that describe me would be determined, adventuresome, always learning. Thanks for reading and commenting! Those are admirable qualities, for quilting and life! I need to do more quick quilts. Not that I’ve done anything terribly ambitious (I say as I start up my first EPP project). There’s just something so satisfying about a quick finish! With those words you’re making me wish you had a blog! Thanks for stopping by. Hi Beth! Love the story of your first quilt. Determined is an understatement. What a go-getter! I totally understand the accountability thing–I find that my blog does that for me as well. Three words. Hmmm. I’m not a limited word kinda-gal, so this is tough. Brave, at least that’s what I’m currently trying to be! Fabriholic, because I’ve never met a fabric type or a color I don’t like–I love them all! Designer, or at least that’s what I’m striving for–designing quilts and creating quilt patterns. The world needs brave people. ❤ Thanks for stopping by! I totally forgot to mention that I love Lost in Yonkers and anything by Neil Simon for that matter. It’s been a long time since I’d seen it though and all I could remember was Mercedes Ruehl. Totally forgot Richard Dreyfuss! Khaleesi! Great choice. She is fire… literally! I am not up to date on GOT, but did read the books many years ago, I always liked Jon Snow. I am also stubborn, my mother and her sisters were called those stubborn Clark women, guess it rubbed off! I like to think I am creative, quilter for 25 years, so not a quitter. Yeah, a quilter, not a quitter!! I think I’d be Daenerys, but I am not a blonde, LOL!! I do tend to be elected to chair committees and be on the board of the guilds, so I guess I am good at organizing. I have read the first 5 books and seen the TV show, love them. Funny that there isn’t a healer in the books, or that would be me. I have also been in the OR during heart surgery, and lots of others too. Your sewing space is wonderful. Such an interesting way to begin quilting, but how fabulous that it has worked so greatly for you and kept you going. Three words to describe myself in quilting would be first inquisitive, seeing the variety of ways that individuals do techniques in quilting is fascinating and I love to read and try various methods off and on all of the time. Informative, I do share as much as I can with whoever I can the techniques that I discover while browsing blogs, books and magazines. Sharing that information and discussing views and desires brings so much to a conversation it is amazing. Awkward….although I have been creating quilts for over 10 years I still feel like such a beginner with very little knowledge a good deal of the time. I do believe that is one of the reasons I am having a hard time blogging regularly right now, plus some other reasons. I enjoyed finding out more about you and look forward to seeing more of your posts. Have a fantastic creative day! So fun getting to know you…thanks for sharing your first quilt adventure! It’s a great story and a wonderful quilt! Love Game of Thrones, and I have read the first book just to get the characters and families straight! I identify with Ary or Dany. So…as a quilter I have ADD, I am excellent at starting, and have to have a deadline to finish! Beth, what a great first quilt! You are determined! When making a quilt, I want it right, not afraid to use the seam ripper and I’m slow, but ok with it all. Great and interesting post, I enjoyed reading your story. After more than 10 years I am still Enthusiastic about quilting, I am Open to trying new things and experiences, and I Persevere to master techniques I find difficult. Ha! I can just visualize the looks when you went rolling into that hotel with your sewing machine and cutting mat! Good for you!! Such a great story! Not only did you make a baby quilt, but you used MINKY on the back of your first quilt! That makes it perfect. 🙂 Good luck with your blogging and quilting – I look forward to reading much more about your quilting adventures! Three words to describe myself…hmmmm. Over ambitious, too happy, too sassy. Howdy! Loved the energy in your writing, it was really fun. I really appreciate your tip to be honest. The world needs as much honesty as it can get. Hard question too. 3 words to describe me as a quilter? Dreamer (as I am frequently dreaming up designs and making them happen), Listener (I will listen to what a quilt wants to be before I follow any rules, and Scrap-Hoarder (that is one word right?). HI, So nice to meet you! Three words to describe me (because I have no idea what Game of Thrones is) planner (so far needing to use patterns but that might eventually change), procrastinator (wait to the last minute and then zip, zip, zip get ‘er done), and perfectionistic (seams that don’t meet or blocks not square drive me nuts!! Three words to describe me as a quilter is tough, but here goes: perfectionist, procrastinator, planner. I have so many ideas in my head, and I have to push myself to try one, then I am not always happy with the outcome. But I learn something every time, and do try again. Thanks for sharing. Hmmm. The three words that would describe me as a quilter would have to be: meticulous, adventurous, and colorful. As for GoT… WHAT IS GOING TO HAPPEN?!?! Lol. Yes, that’s my sentiment too. I’ve read the books (re-reading them now in fact) but the show is going so far away from where the books are. So, yeah, I’m on the edge of my seat. I think I’m more like Jon Snow than any of the other characters. I’m finding more and more book lovers in our NQB group! So great! I seriously love your blogging voice. And your quilts. 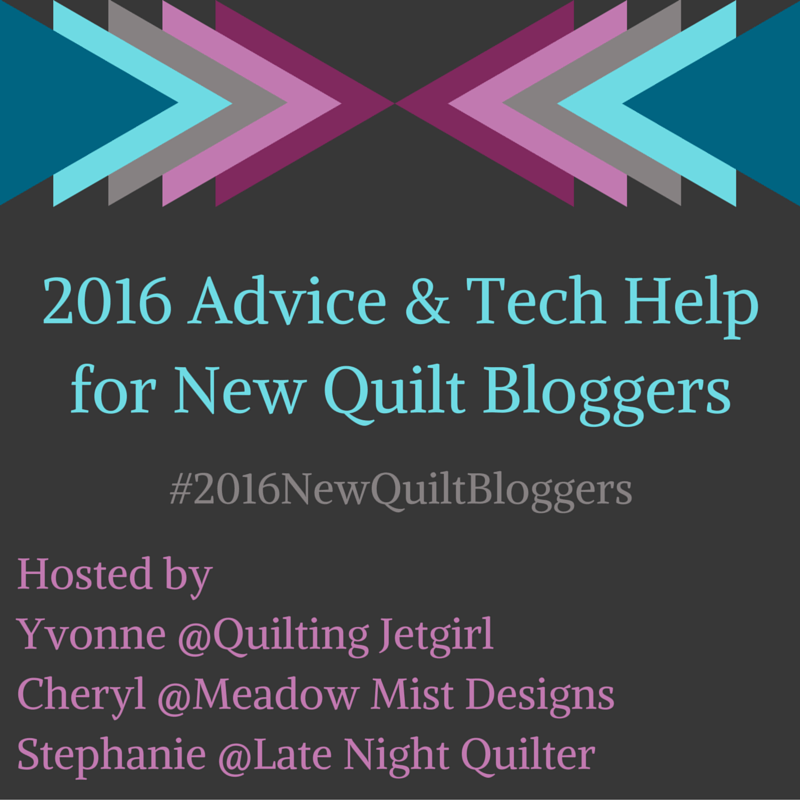 And your blogging/ quilting tips! When it comes to quilting, I pretty much have no idea what I’m doing… and it almost always works out in the end! I’m sure I break rules that I don’t even know about! The three words that describe me as a quilter are: Resourceful, unpredictable and always way too hasty. 😉 Quilting on the edge! Your first quilt is great. Good for you for sticking with it and becoming a quilter. As a quilter, I would describe myself as colorful, slow, and inconsistent. I can crank out a quilt with perfect corners and points one week, and struggle with a four patch the next. It just depends on my level of compulsion that day. I read the first GoT book, didn’t care for it. My son and husband watch the show while I am in the room, and I just cannot get into it. All of those guys look the same – how many pasty white dudes with beards could there possibly be? Always just one more. I guess I would identify myself as one of the dragons. I fly in once in a while, get everyone stirred up, then disappear. I love a blogger who can get right to it, has a strong personality that comes through in their writing and can make me laugh or gasp or react. Great quilts! I look forward to reading more. I really enjoyed reading your post and clearly you walk the walk with your tips – your voice is strong! I hope, as much as your blog helping to keep you accountable to making, you won’t beat yourself up if it doesn’t happen at times. I have appreciated that side of my blog for quite a while but have really struggled hugely with time this year and keep having to forgive myself! I don’t watch much tv so I’m not a Game of Thrones viewer (my husband is and frequently has to vent his shock/horror/disbelief on me so I have a slight feel for what it’s all about!) but 3 words to describe me as a quilter, that’s tough, especially as I kind of decided when I wrote my post for the new quilters blog hop a couple of years ago that I wasn’t actually really a quilter, and I think I’d probably still stand by that. Perhaps I’m a patchworker, in which case I’d like to think my words could be – creative, repurposer (sorry,not really even a word probably), and individual.